Christmas is just around the corner, and if you are like me, you haven’t done anything for a Christmas card yet. So, how about some free Christmas card photo templates? 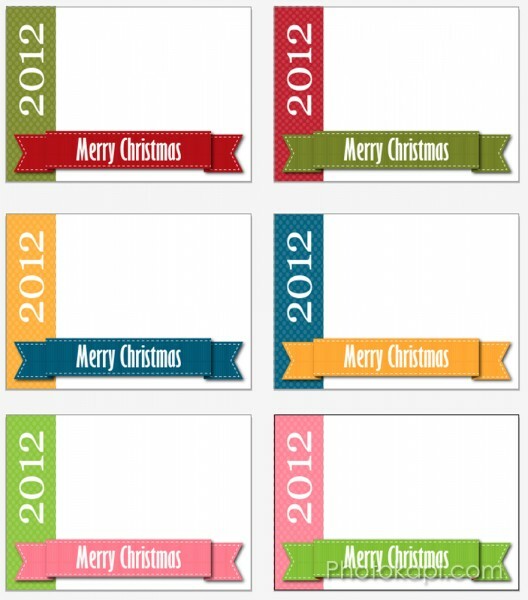 Zip file includes transparent PNG files (white area is transparent) in a 4×6 and 5×7 of each style, including a set of each with no writing that can be used for invitations, announcements, or gift tags. Enjoy!